Thank you to FashionIt for providing a sample for my review. All thoughts shared are my own. A picture is worth a thousand words, and when you take lots of pictures, you want them to be memorable. Taking pictures is a huge part of my job and a big part of my life. 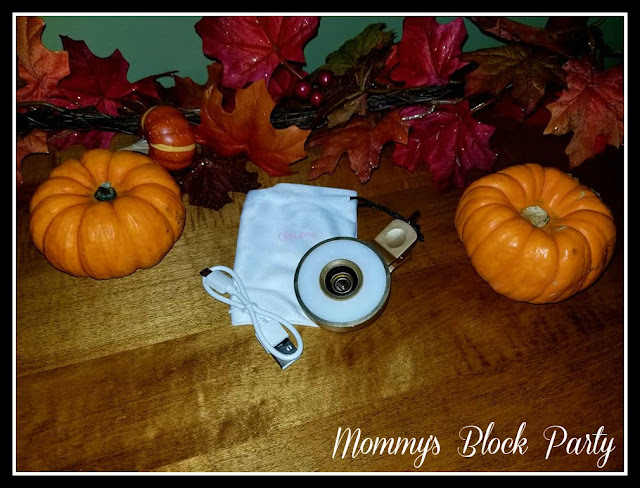 I've always enjoyed photography in a way, and once I became a mom, I started taking pictures of everything, as long as my kids were involved. Moms don't often get to be in the pictures because we're the ones who are busy taking the pictures and trying to make sure that we have preserved memories for future generations. Enter the selfie. You may have a love/hate relationship with selfies, but they're here to stay, and I, for one, am actually glad that we have the capabilities to take photos of ourselves. 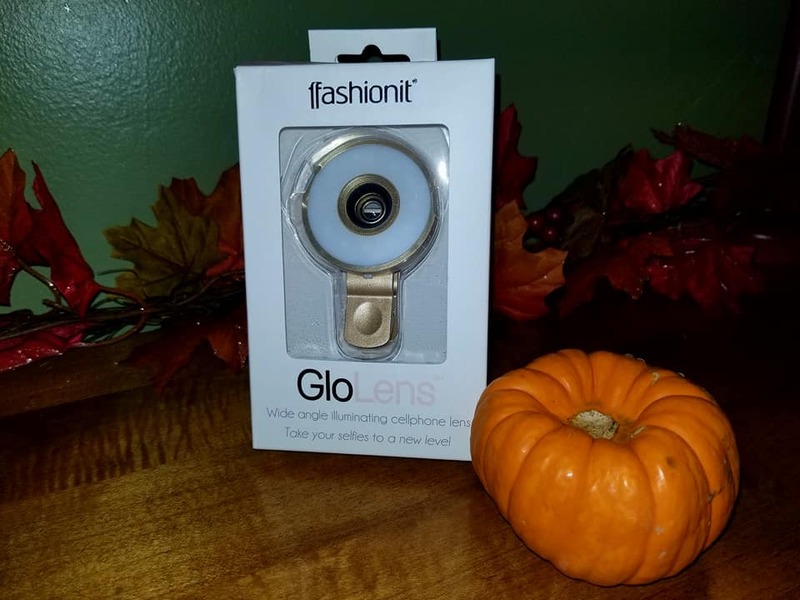 The GloLens by FashionIt is here to help you take your selfies to the next level! As a blogger, sometimes selfies are necessary. They're also popular among teens and young adults who love to share, share, share on social media. Personally, I like taking selfies when I am on trips with my family. It allows me to capture myself in my surroundings, and share an experience with friends, family, and yes- my followers. My biggest selfie complaint? The lighting is always the pits! If you take selfies, you already know that you're at a disadvantage unless you happen to have amazing natural light at your disposal. 99% of the time, I'm in a dark area with low light, and my selfies come out looking dull, even fuzzy (and I have a fantastic camera on my phone!). 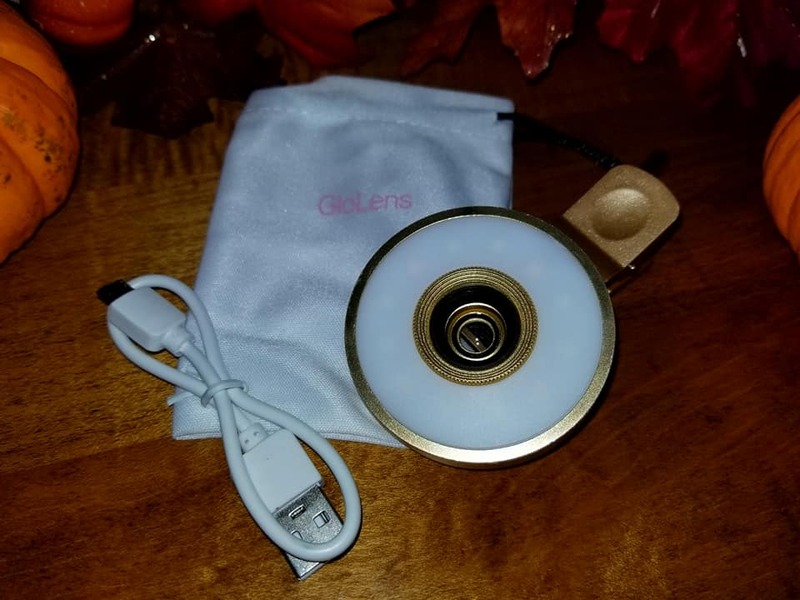 The GloLens is helping bloggers, photographers, and everyday selfie-takers go to the next level with their selfies, by providing clip-on lighting options through an easy to use lens! The GloLens in Rose Gold is the perfect accessory for any selfie fan! Since taking photos is part of my job, I have learned to be conscious of lighting- it's important. I need crisp, clean, well-lit photos for my projects, and I want my personal photos to look the same. I don't always have a helper around to snap a photo of me, so a selfie it is! What makes the GloLens amazing is that it's portable, handy, and easy to use. 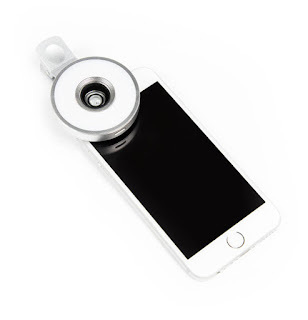 The GloLens comes with the actual lens, which is compatible with most tablets and smartphones. It simply clips onto the device, and is ready for use- anywhere! It comes with a storage bag, and a USB charger, for charging on the go. Perfect for gifting- the GloLens is a holiday must-have! One of my cousins takes amazing selfies, and her IG is amazing! 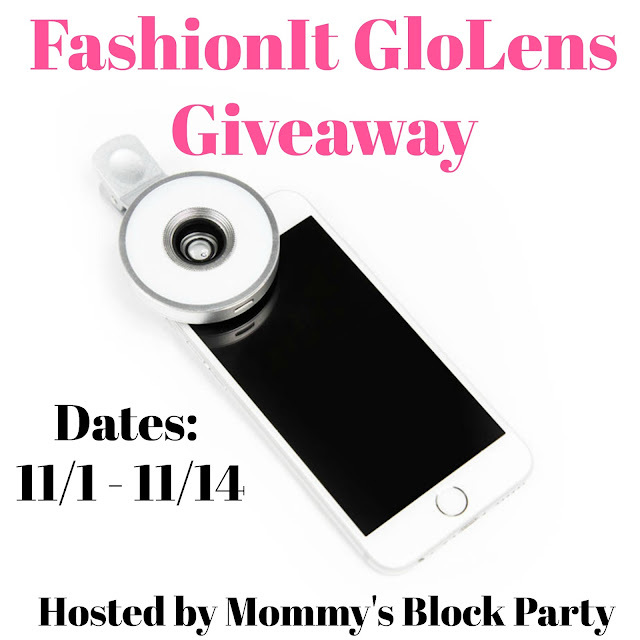 I feel that she would love the GloLens as much as I do, so I plan on gifting one to her for Christmas this year. She's going to love the different options on the light settings! The 12 LED bulbs enhance every scene. Shooters can adjust up to three brightness levels! Plus, it takes photos at a wide angle! How's that for amazing? 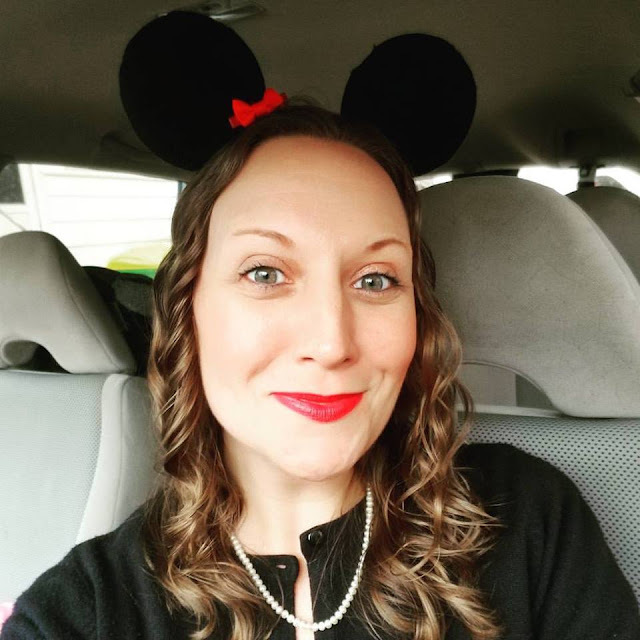 My GloLens helped me capture a pretty cute selfie before family Halloween festivities on a dark and dreary day! If you're looking for the ultimate selfie accessory, this is it! There's a reason why the GloLens became the #1 selling item at Francesca's stores within just 1 week! Visit Fashionit & grab free shipping for orders online over $50 with code: FreeShipping50. For those that like to shop in person, FashionIt is stocked coast to coast! Find the nearest retailer by zip code at their “Where To Buy” page at www.justfashionit.com. Look for them where gifts are sold from in downtown specialty shops, toy stores, and pharmacies to national chains such as Francesca's, Barnes & Noble, Paper Source, Bed, Bath & Beyond. One lucky reader will win their very own GloLens! Just use the RC entry form below to enter to win. Giveaway is open to US residents, 18+, no PO Boxes. This giveaway is in no way affiliated with Facebook, Twitter, or any other social media platform. Void where prohibited. MBP is not responsible for prize fulfillment. Please see our policies page for details. Special thanks to FashionIt for allowing me to share about their crazy cool GloLens and for providing a holiday giveaway for our readers. I think I would like to keep it. i would keep it, i take a lot of pictures and this would help!